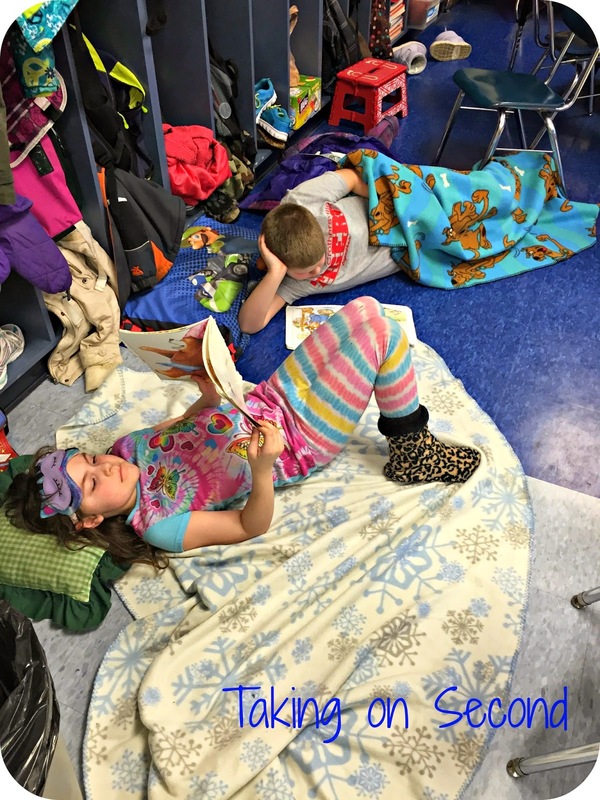 I just love a good read-a-thon! 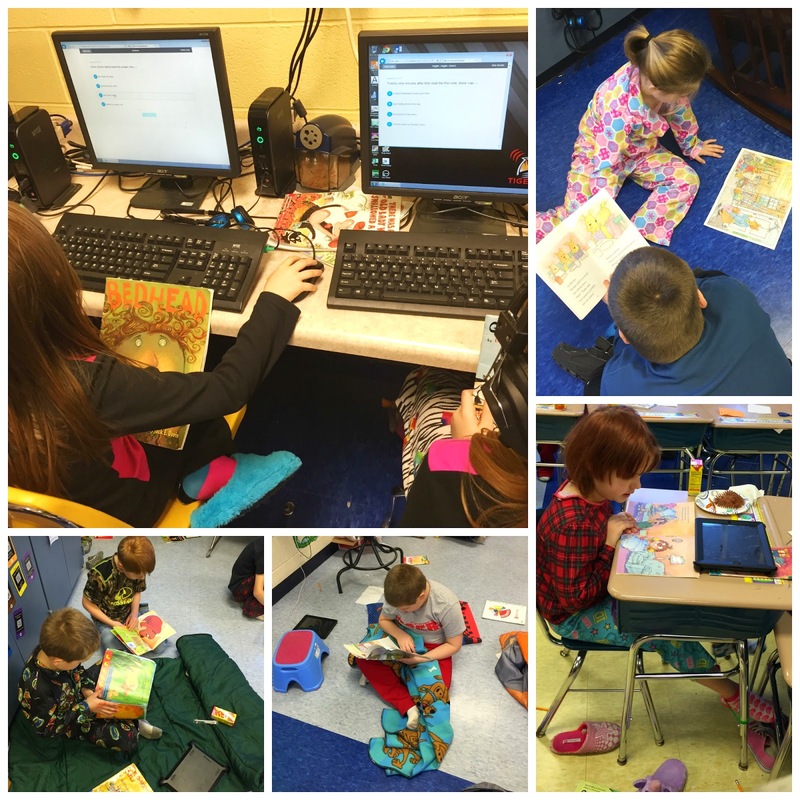 Friday we had a Read-a-thon in second grade, and some of the other grades too! We ended up with a two hour delay in the morning due to the cold, so we started it after recess. The kiddos got to wear PJs and bring blankets and pillows. We used our AR tests to help us keep track of what we were reading and how we were doing. 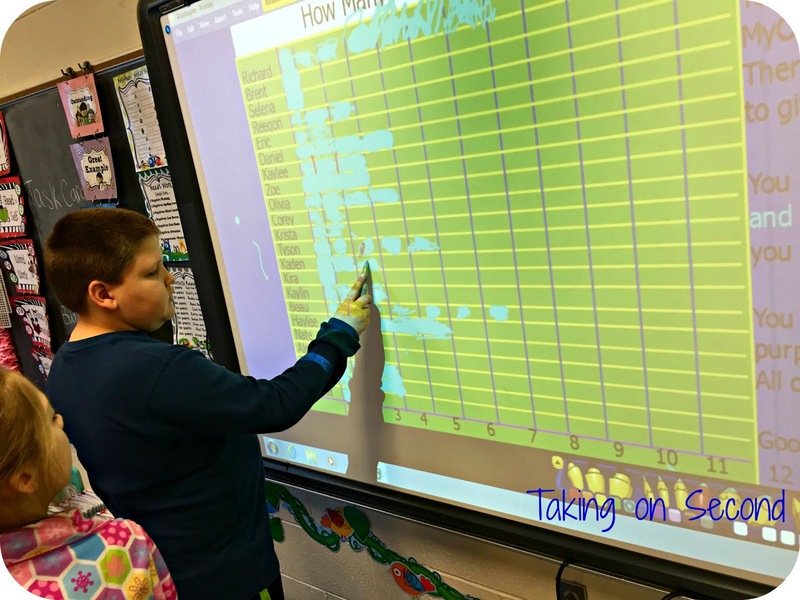 We set a goal for twelve 100% on AR tests for each student. 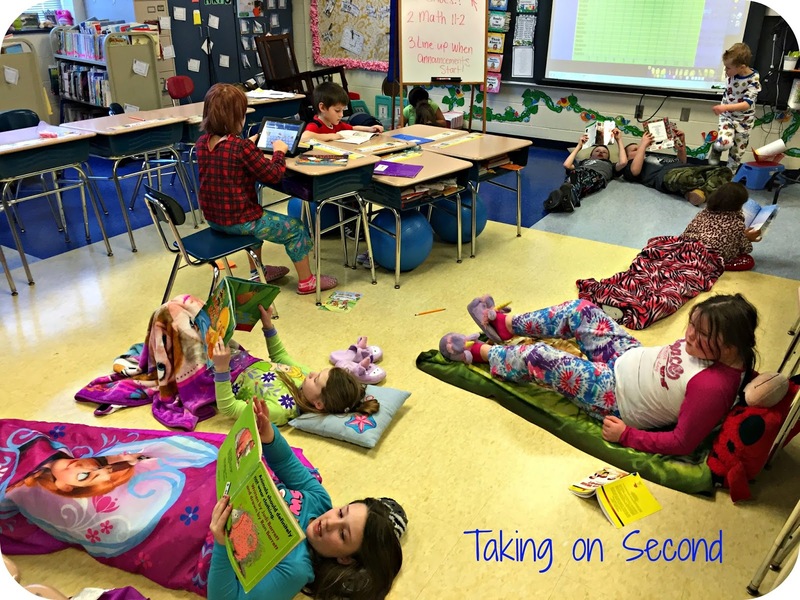 This was before the two hour delay, but the kids still thought they could reach 12 in our hour and twenty minutes of reading, so we didn't change it. For each 100%, they would fill in our graph on the board. I loved hearing, "Got another hundred Mrs. Rigsby!" If they lost track, I could just look it up online. They were reading up a storm! We also had a birthday, so we enjoyed Hi-C and cupcakes with our stories. It was such a fun afternoon! No one reached their goal of 12, we just didn't have the time. Those that did were going to get a coupon of their choice. Since we ran out of time, I had the top three get a coupon of their choice. I was so proud of my kiddos! All of them got at least one book on the board! For the strugglers, it was awesome to see how proud they were.